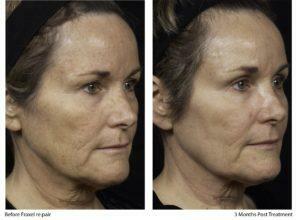 The Fraxel Laser Repair or CO2 Fraxel helps remove years from your appearance and regain a more youthful look. It is revolutionizing the industry. 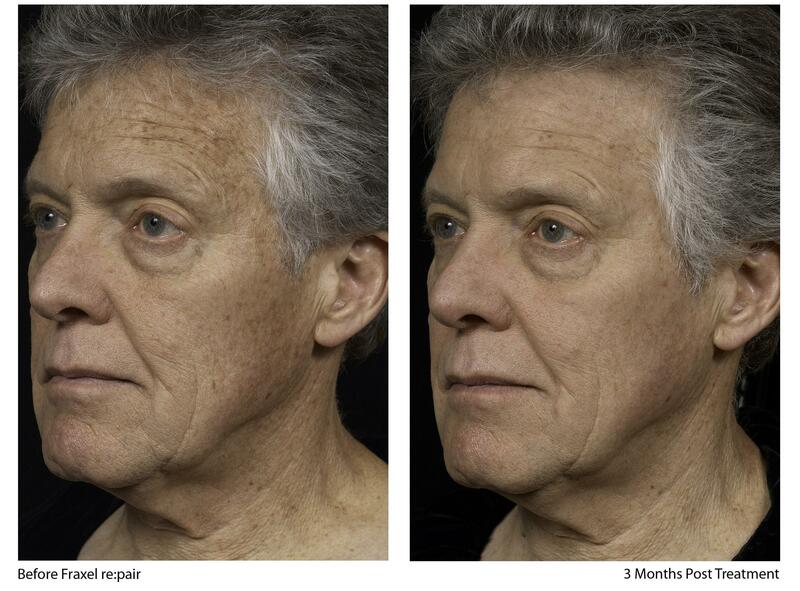 Whether you have scars (acne, surgical, traumatic), sun damage, wrinkles or other signs of age, CO2 Fraxel treatment delivers dramatic results in a single treatment without the prolonged downtime, risks or complications of a surgical facelift. 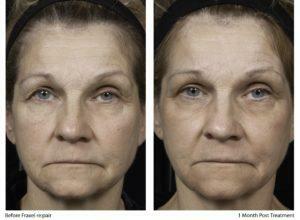 So you can quickly return to work or other activities with renewed skin and renewed confidence. 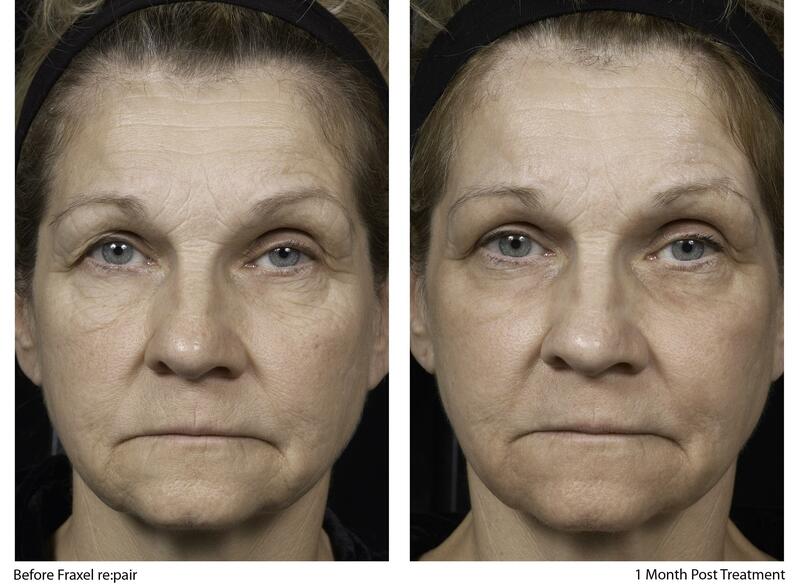 It’s also a compelling option for patients who want remarkable results without surgery. If you are looking for Fraxel Laser scar removal in San Diego, you have come to the right place! Fraxel treatment, affects a fraction of tissue at a time with thousands of microscopic laser columns — each just one-tenth the diameter of a hair follicle. These microscopic laser columns penetrate deep into the dermis to create tiny wounds, which trigger your body’s natural response system to heal those wounds. This process expedites your body’s remodeling of collagen and elastin, which results in tighter, fresher, more youthful-looking skin. 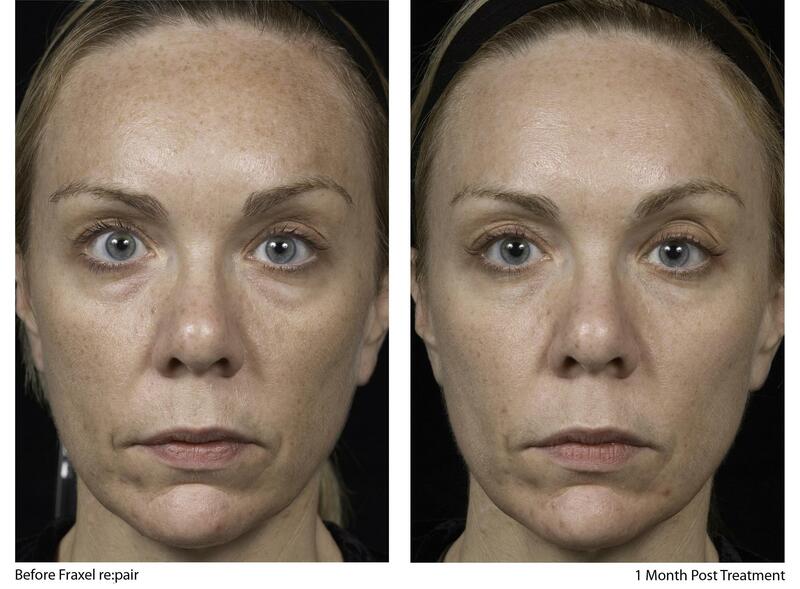 This is how Fraxel treatment creates new skin from the inside out. 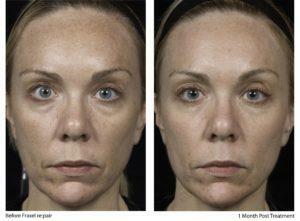 Just as important are the areas of skin that Fraxel treatment doesn’t touch. Because the treatment is so precise, the laser columns target only a fraction of skin at a time, leaving the surrounding tissue intact. This unique fractional technology spares much of the surrounding healthy tissue in the demis. This results in immediate coagulation, tissue shrinkage and skin tightening – in summary it replaces damaged tissue with new, younger, smoother, healthier skin. 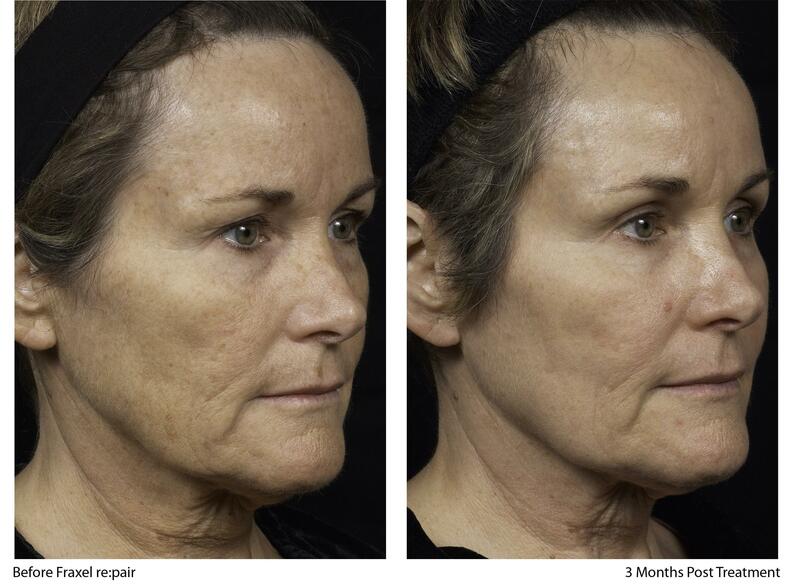 Regardless of the level of sun damage you have, or if you just want prevention and maintenance, the CO2 Fraxel will frankly just knock off 10-15 yrs. of your appearance so that you look younger, rested and refreshed.No wonder it is called – “The nonsurgical facelift”. 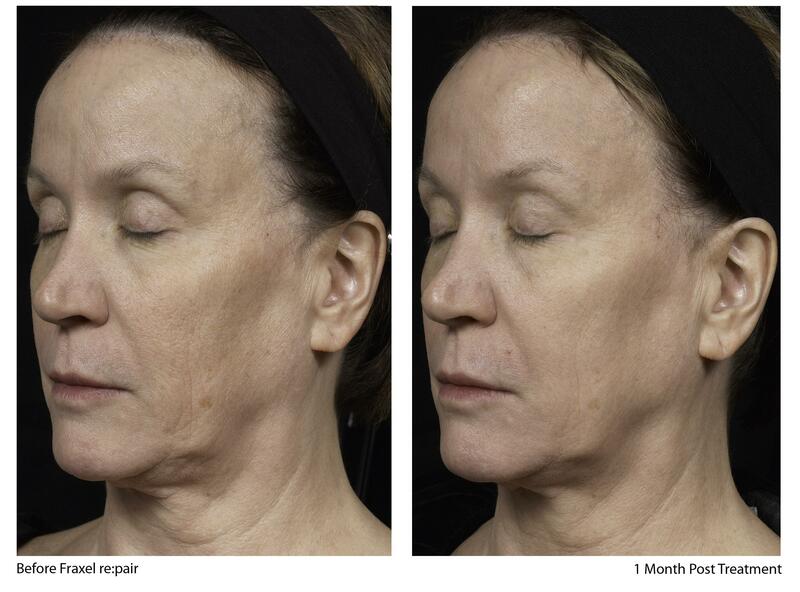 Step into the life of a patient that has received the Fraxel Repair treatment and read all about her day by day experiences and results. Click here: Case study patient diary. 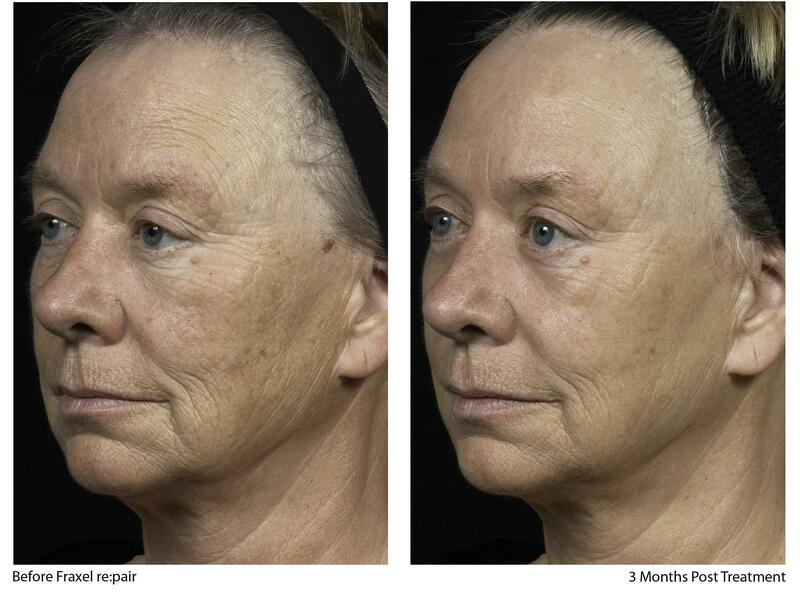 More than half a million Fraxel treatments have been performed worldwide and counting. Done under IV sedation at our clinic, this procedure is virtually painless & has a very short downtime — usually a week. 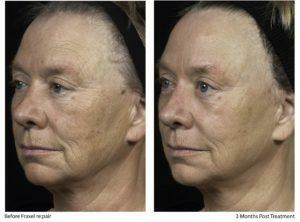 More CO2 Fraxel treatments under I.V. sedation are performed here (also called the Fraxel Clinic by some) than any other center on the west coast. If you want to look and feel younger like you’ve always wanted, please contact our clinic for your personal CO2 Fraxel consultation.